Windows 10 requires you to enter password to login each time on your computer, which is important feature to secure your computer from unauthorized access. 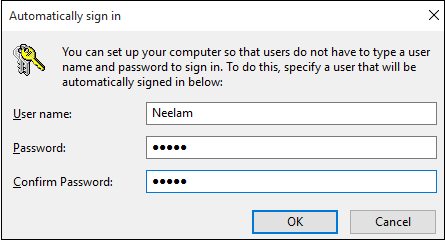 Sometimes you don't want to enter password each time and configure automatic sign-in on your computer. Windows 10 allows you to configure automatic login on your computer using local user account as well as Microsoft account. 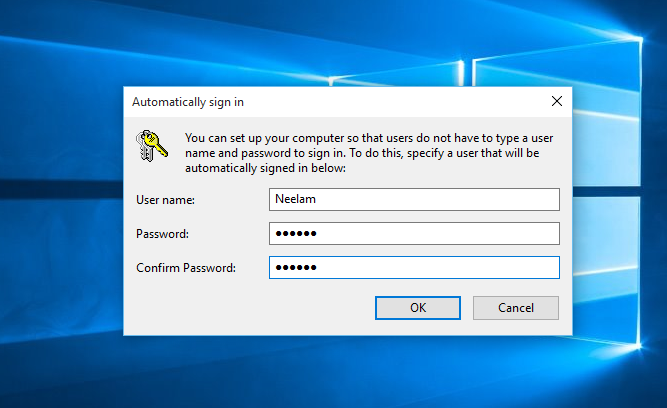 Follow below steps to configure automatic login on your Windows 10 computer. 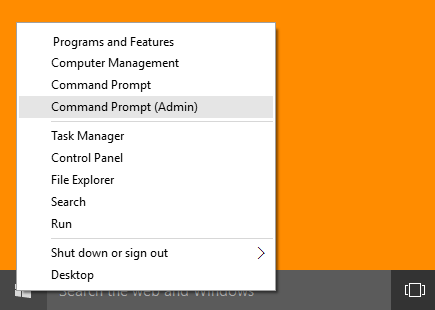 Right click on Start menu and click on "Command Prompt(Admin)". 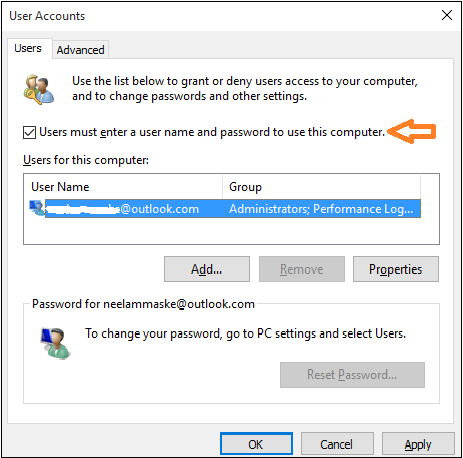 Enter "control userpasswords2" command in command prompt to open "User Accounts" window. 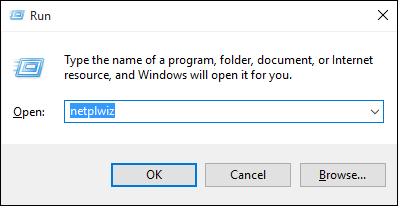 Open "Run" dialog by pressing "Windows+R" keys simultaneously and enter "netplwiz" and click "OK". Select your user account and uncheck the checkbox in front of "Users must enter a user name and password to use this computer" and click on "Apply" button. In "Automatically sign in" window enter your current password and re-enter it to confirm, and click "OK" button. You will be automatically logged in next time you start your Windows 10 Computer.